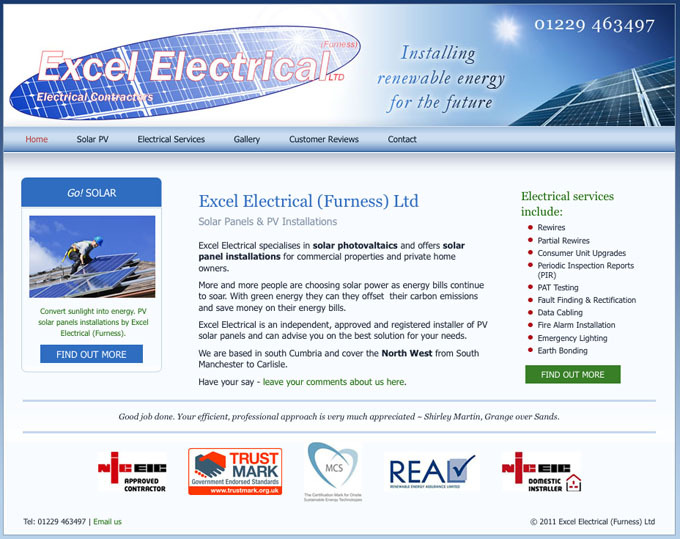 New website designed for a local electrical company offering a range of electrical services and also specialising in Solar PV installation. The client wanted a website with a strong focus on his solar panel and PV installations business using a design based around his existing logo. He provided a lot of content for the site and later we also added in a customer review section.